After an hour and a half, we reached the Manggahan area where we at last felt some air. The fresh P10 buko was another complement. It was also at this area that we met two day-hike climbers who got lost and aborted their climb. According to the locals, the trail was covered by dense vegetation and got impassable after the last assault done during the holy week. The two-climbers even teased to wait for us so that we can descend altogether. Yes, it’s 6pm and we’ve been trekking for more than 4 hours already. The view of the sun starting its way down sped up my pace. I thought the campsite is somewhere near and I can reach it before the sunset. But as I pull up, I see no sign of a campsite... It was at the summit that I saw the camp at the other side of the ridge with other campers having an early socials. Huh! I thought the last assault was last summer – waahh! Anyways, I reminded myself to deal with it later as sunset is fast approaching. Just in time, I got a great scene of the beautiful Laguna de Bay sunset with a fiery backdrop effect to Mts. Banahaw and Cristobal. I also witnessed several group of birds hovering around the ridge. 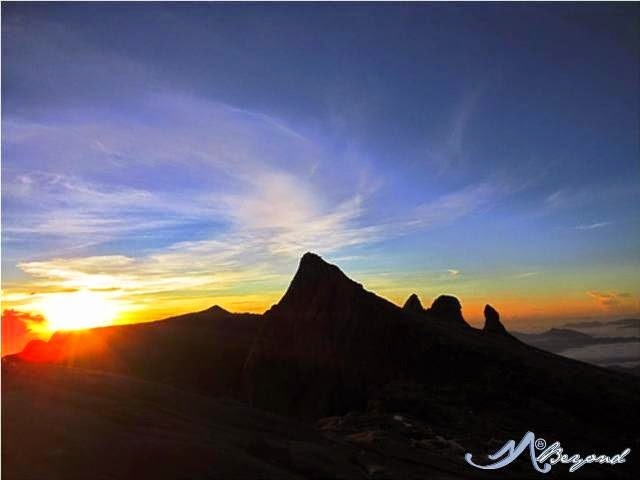 The summit has a superb 360 degree viewpoint. If you are facing Laguna de Bay and the Mt. Tagapo of Talim Island -- you have Mt. Banahaw, Mt. Cristobal and the 7 lakes of San Pablo at your back, the Malarayat range and far view of Mt. Makulot to your left, Mt. Makiling to your 10 o’clock and Mt. Atimla to your right. Truly a WOW! On the next day we started descent at 830am to reach the jump-off before noon time. The grassland area is a reminiscent of our Mt. 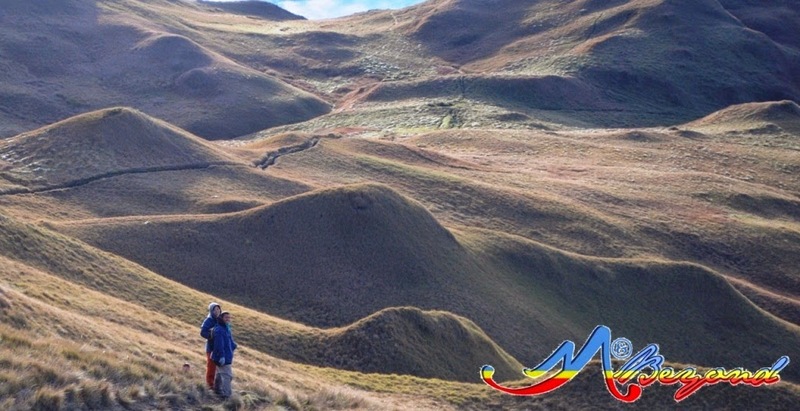 Kanlaon descent – the tall cogon grass, the steep slippery trail, the long grassland trek... Thanks to hubby’s motoring gloves that I used to protect from the thorny bushes. Along the way, we surpassed the other group of climbers who descended earlier. I inquired of their jump-off/ascend trail and they replied something like near the Barangay hall – that explained why our trail is no longer actively used. It was also at that instance that one of them mentioned about “Bunga Falls” and that made me -- Aha! Ther's a falls nearby. Back at the Manggahan area, we asked of “Bunga Falls”. They shared that they had it as sidetrip on their previous climb. With their go signal, hubby and I went ahead for our sidetrip. By 10:50am we reached the jump-off for our ride to Nagcarlan, Laguna. It took us about 30 minutes of stop and go ride and a short trek before we reached the Bunga Falls.